Wishing you all a blessed day with your friends and family. 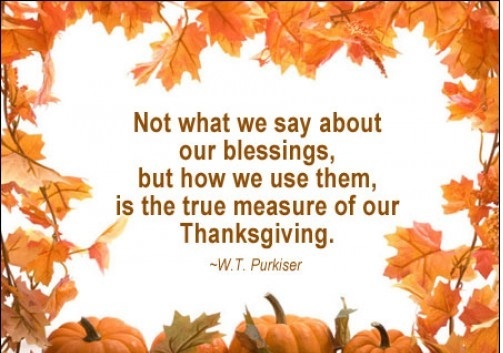 my most heartfelt wishes for a Happy Thanksgiving . . . In any relationship, the essence of trust is not in its bind, but in its bond. So hold the hand of the person whom you love rather than expecting them to hold yours. Trust. In Webster’s Dictionary, trust is defined as 1) A firm belief or confidence in the honesty, integrity, reliability and justice of another person or thing; faith; reliance. 2) Confident expectation, anticipation or hope. 3a) The fact of having confidence placed in one. b) Responsibility or obligation resulting from this. Trust is one of the most valued and precious gifts any one person can give to another. It is the very cornerstone of relationships. If it is developed, maintained, honored and respected, then the relationship grows and flourishes. If it is damaged or questioned, then the relationship is diminished and there is great potential for personal hurt. 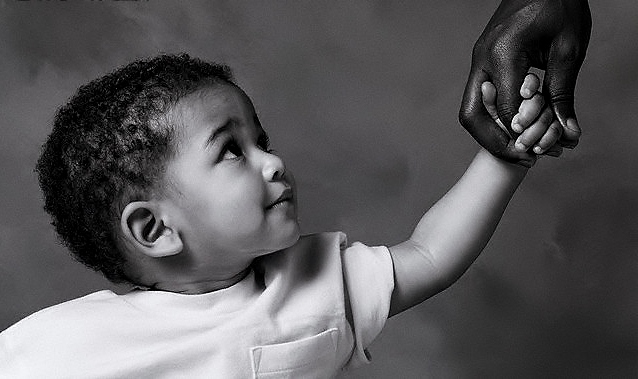 Therefore, when one is giving you their trust, they are placing their vulnerability in your hands. Many times, the person is entrusting you with his/her heart. How do you treat it? With reverence, attention and the utmost respect? Or do you carelessly disregard it or do you consciously or unconsciously crush it without regard? 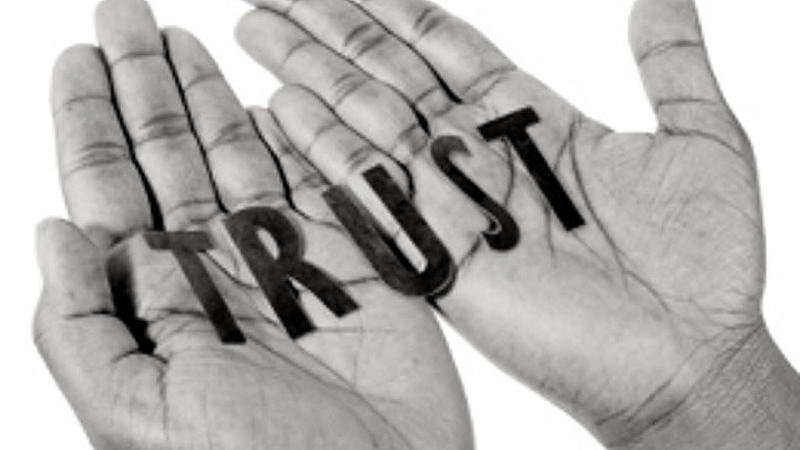 Let’s take a look…What is it about a person that instills trust? They do what they say they will. They are honest and they are fair. Their actions are consistent with their words. You know you can count on them to keep their agreements and if they break one, they own up to it and sincerely apologize. You know you can count on them no matter what to support you, to care about you and to respect you. You know they have your best interest at heart. You know they will be there for you. They will be loyal to you and true to their commitments. You can trust they won’t hurt you. Take a moment right now to think about someone you totally trust. Who is this person? Get an image of him/her in your mind. This is likely a person who is upfront, open, honest and dependable. They support you whether you are present or not. In times of trouble or need, they would be there for you. In times of success, they would celebrate with you. And most of all, they believe in you. On your list of people you trust, do you see the name of the person in the office or cubicle next to you? Is your boss’s name on the list? Are your family members there? Do you see your neighbor’s name? And here’s another question…are you on their lists? Everyone stores lists in their heads. There’s the list of people I know I can trust and there’s a list of people I’m not sure about and then there’s the list of those I do not trust. Have you operated in a way that they would automatically put you on their “trust” list? What have you done to deserve that? Or are they looking at you a little sideways, wondering just what they can count on from you? How have you operated, that would have them wonder? Do you sometimes break agreements or say you’ll do something but then never follow through? Do you exaggerate the truth to make yourself look good? Do you talk about others behind their backs? Do you dare to find out? In terms of trusting others, do you bring trust into a relationship and look for ways in which it is validated? Or do you enter relationships cautiously waiting and watching, testing them to see if you can really trust them? Do you think that trust has to be earned and then silently challenge the person to prove to you that they are trustworthy? Do you surreptitiously set little traps to see how they’ll respond? When you operate this way, what is the possibility for trust to flourish in this relationship? Or are you the kind of person who enters into a relationship bringing trust with you. “I will trust this person unless I am shown otherwise.” I’m not talking about unconscious blind trust where you ask a complete stranger to hold your wallet while you go into the movie theater. That is irresponsible trust. You are setting yourself up to lose. I am talking about conscious trust, the kind of trust you give with your eyes wide open. Where you stay alert. Where you stay accountable. When you operate this way, what is the possibility for trust to flourish in this relationship? Trust Yourself – You DO know what to do. Trust your common sense. Trust your ability to handle whatever comes before you. Trust that you will land on your feet. Trust that if you got into it, you’ll be able to get out of it. Trust that you are a miracle of life and you have a rightful place here in the universe. Trust that there is a purpose for you, and you are wanted and needed. Trust that you do know what is just and true and honest. Trust that you can create anything you want and be anyone you want. Trust In Others’ Capability – Trust in their ability to rise to the occasion. Trust that they can handle even the most challenging of situations. See the good that is within them. See the power they possess. Speak to them with trust. Believe in them. Believe in their greatness. People will rise to the bar of excellence you hold for them if they know YOU trust that they can reach it. Trust that they want to do the right thing and when they don’t, it is only because they don’t trust themselves or the world around them. Trust The Process – Trust that everything that is happening is there to support you to evolve and grow. Trust the highs and trust the lows. Flow with them. Trust that everything will work out. Trust that everything is happening to make you a more effective, loving, conscious, caring, powerful, kind, successful human being. Trust the truth. Trust love and caring. Things don’t always look like you thought they would. Trust that. Just keep asking, “Is it honest? Is it just? Is it true?” Frequently, results are achieved in ways we never imagined. Trust that whatever is served up to you is there to help you to learn how to be a better person. Look for the value. Look for the possibilities. As long as you and others are honoring your values, then move with the events in your life as they happen and — trust. Respect The Trust Others Give To YOU – When a person hands you their trust, it must be honored and respected. In the workplace, your boss trusts you to do your job well. In a trusting environment, you will make certain that you do whatever is expected of you and more. Why more? Because it builds even more trust. It’s the same as making deposits in your trust account. A withdrawal occurs when you violate this trust. When people hand you their trust, they are essentially making themselves open and vulnerable to you. They take their hearts and feelings in their hands and give them to you for safe keeping. They take their reputations and personal and professional success in their hands and give them to you for safe keeping. To give someone your trust involves risk. It must be treated as something sacred and must always be treated with the utmost respect. Your personal and professional relationships and the success of your business are at stake and even more important . . . Your well-being and the well-being of others depend upon it.